-With both teams fighting for playoff positioning, Heat survived an entertaining back and forth game by recording it's franchise high in points in the 149-141 victory. 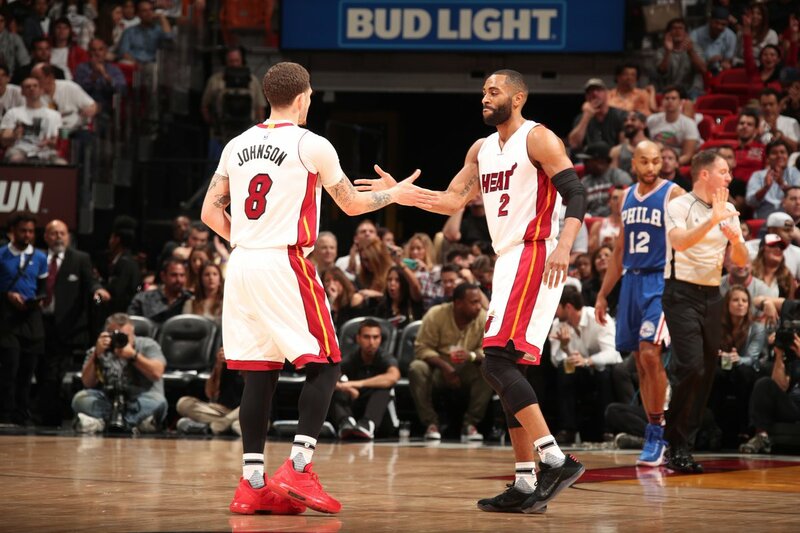 -James Johnson was the man for the Heat, scoring a career-high 31 points including 18 in both overtimes. He hit two back to back threes in the second overtime with 1:23 remaining to give Miami an eight-point lead (142-134), their largest of the game at that time. -Will this Johnson show up in the playoffs? The heat hope so. Miami is a much better team when he's aggressive. -Kelly Olynyk provided energy and offense off the bench with 30 points including a career high four blocks. -Wayne Ellington also added 23 off the bench. -Josh Richardson finished with 17 points for the Heat, five rebounds, four assists and three blocks. His block in the first overtime may have been the biggest play of the night. Without that block, the Heat probably wouldn't have forced a second overtime. -Great play out of the timeout by Spo to create an open look for Bam at the rim. And boy did he get up there. Wow. -He then went coast to coast for the layup after getting the stop. -Wade and Whiteside missed tonight's game again. Wade, after participating in Monday's shootaround, hopes to be back in time for Wednesday's game vs the Knicks. Whiteside's status for Wednesday's game remains unknown. -Heat will try to move six games above .500 when it faces the Knicks on Wednesday.